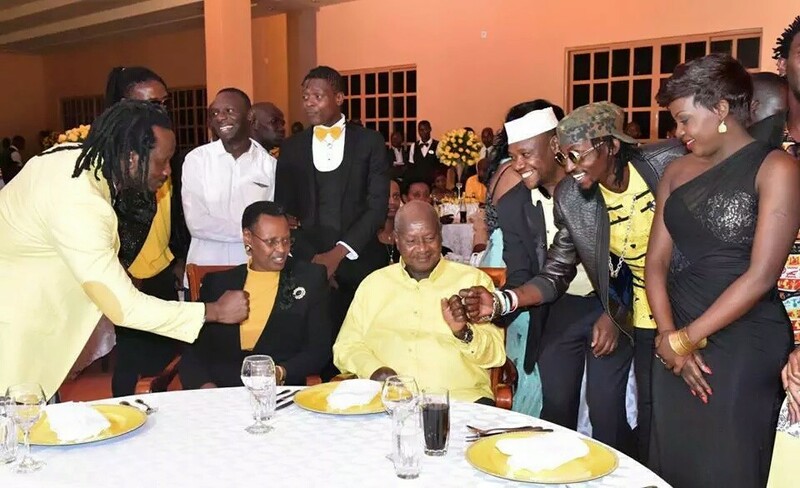 Bebe Cool exposes Hilderman taking money from Museveni. KAMPALA – Friday this week, Gagamel boss Moses Ssali aka Bebe Cool threatened to expose artistes who shared Museveni Money and denied. While appearing on one of the local TV stations on Friday, Bebe Cool gave out a-24-hour warning to fellow musicians who shared on Shs400m that the President gave to them to come out and confess before he exposes them. 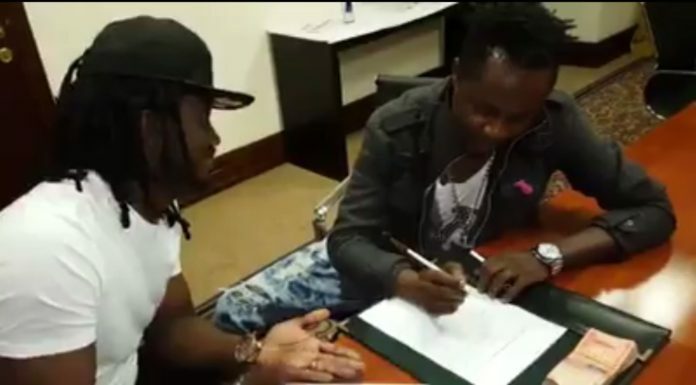 According to Bebe Cool, his list contains about 20 artistes who include, Hilderman, King Saha, Dr. Jose Chameleone, Juliana Kanyomozi, Ki Radio, Weasel, Iryn Namubiru, Pastor Wilson Bugembe, Rema Namakula, Judith Babirye, Haruna Mubiru and many others. Fulfilling his promise, Bebe on Saturday released a video clip of singer Hilderman real name Hillary Kiyaga taking his share. “Yesterday I gently asked Ugandan artists who I gave the money to acknowledge it but all in vain and all that happens is Bebe Cool stole the money,” self-proclaimed Big Size posted on Facebook. “Some of these musicians have even gone ahead to abuse the president. Ok”. While defending himself, Hilderman on his Facebook said that Bebe Cool is foolish and that he is using old things into new ones. According to him, by the time he got president’s money in 2016 he had not even joined Bobi Wine as he had not joined politics. “The 10year challenge was very good. I thought it was a stupid idea but now I knw. Now some fool is driving 2016 business in 2019. Let’s thank God for brains whoever uses them accurately.“ Hilderman posted on Facebook. Bebe continued to warn other artistes to come out and confess as he’s left with little time to defend himself. “If you don’t want your video to come out, make a general post acknowledging that the money was genuinely lent to us by Bebe Cool. Failure to do so, I will be left with no choice but defend myself by releasing more evidence,” he more threatened.